Every data center in the world utilizes Uninterruptible Power Supplies (UPSs) for reliable backup power in the event of an outage. Power outages can occur in a data center for a variety of reasons and can last ¼ of a second or days. Any length of downtime is costly in a data center and the longer it goes on, the larger the repercussions. When it comes to data center power, redundancy is the name of the game. Data center managers are tasked with determining what UPS is best for their unique needs and what will best support their power load should it be needed. There are many UPS manufacturers in the market with a variety of products so choosing can be difficult. 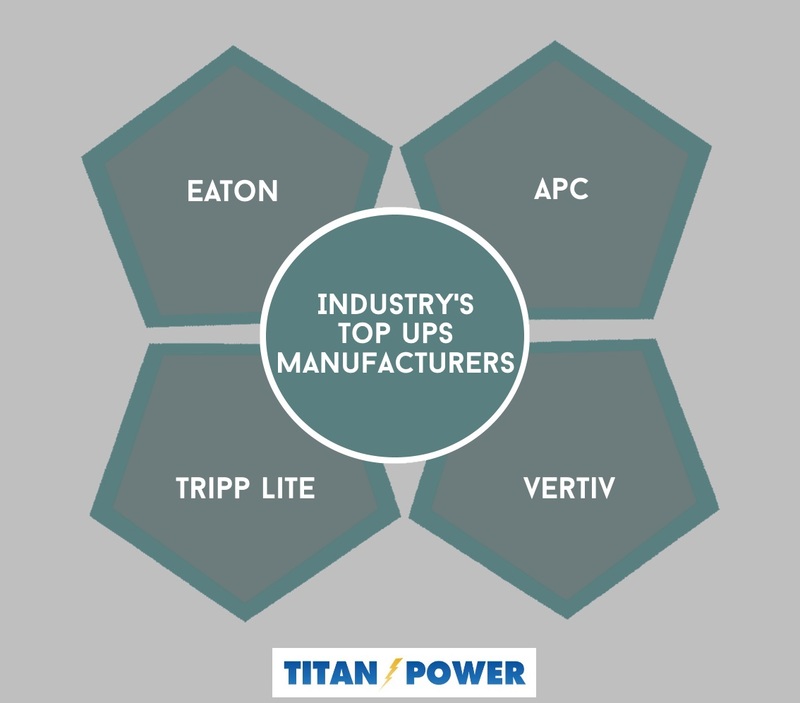 But, what we do know is that Eaton, APC, Tripp Lite, and Vertiv remain the industry leading UPS manufacturers. To understand why this is it is important to take a closer look at each manufacturer. First, Eaton is a well-known industry leader and their UPS products. Eaton is a power management company that has been in business for decades and continues to produce state-of-the-art equipment today. They provide energy-efficient solutions for data centers that effectively manage power equipment with efficiency, safety, and sustainability. Eaton is dedicated to producing high quality products that not only provide data centers with solutions but that improve the quality of life and environment. Eaton has a complete portfolio of power management solutions, showing that they understand all the ins and outs of every system component and their UPS solutions are no exception. Eaton UPSs help protect critical equipment through the provision of uninterruptible power and backup power systems. Eaton’s UPSs can be used to provide high quality backup power to everything from desktop PCs to large data centers. Another industry-leading UPS manufacturer is APC. They are often referred to as some of the best UPS systems you can buy but they are also one of the costlier options. APC has been in business since 1981 and it well-known in the industry for creating innovative, reliable power products. In 1990, APC introduced the Smart-UPS® line which is still recognized as one of the best network power protection solutions available. Decade after decade they have continued to stay on the cutting edge of innovation and their UPS products are some of the most highly regarded and popular in the world. Next, Tripp Lite is another UPS manufacturer that remains incredibly popular in the data center industry. 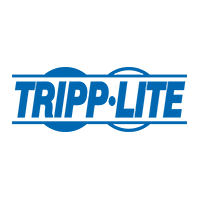 Tripp Lite has been in business since 1922 and has a wide range of products including UPS systems for a fully integrated, well-functioning system. They were actually the first company to manufacture UPS systems for desktop computers and they continue to adapt and innovate with new UPS products today. Tripp Lite understands that a UPS system must provide enough power to outlast an outage as well as automatically save files while shutting down a computer safely during blackouts. They have a wide range of models with various capacities including single-phase and 3-phase UPS options. It is exceptionally important that a data center manager do their due diligence and conduct in-depth research into the various UPS manufacturers and their various UPS options for data centers. When chosen correctly, a UPS system will provide a data center with the adequate amount of power throughout any power interruption or power failure. Power interruptions and power failures happen every day in data centers and should not be taken lightly. An adequate power supply must be available at all times which means a data center manager must not only anticipate future needs and growth but constantly maintain and monitor the UPS to ensure that it will be able to provide the necessary power when needed most. Investing in the right uninterruptible power supply now is not just proactive; it can save you a lot of money and frustration in the long run. It protects future profitability and provides you the peace of mind that mission-critical operations will not experience downtime. By choosing one of a UPS from some of the most well-respected and innovative brands including Eaton, APC, Tripp Lite, and Vertiv you will know that you are preparing for any potential risk, providing your data center with adequate reliable redundancy, and setting your data center up for maximized uptime. This entry was posted in Back-up Power Industry, computer room maintenance, Data Center Battery, data center equipment, Data Center Infrastructure Management, data center maintenance, DCIM, Mission Critical Industry, Power Distribution Unit, Power Management, Uninterruptible Power Supply, UPS Maintenance and tagged Data Center, Mission Critical, Uninterruptible Power Supply, Uninterruptible Power Systems, UPS, UPS Batteries, UPS maintenance, UPS Systems. Bookmark the permalink.